Looking for that special dog, the one that makes people stop in their tracks when he walks into a room? Look no further! 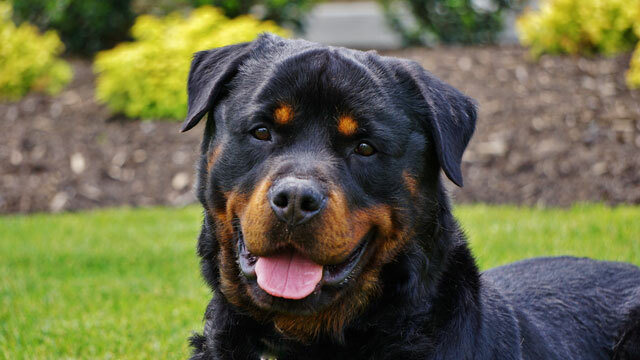 Jon is an absolutely stunning Rottweiler with perfect structure and disposition. He is social with other dogs and loves people. Check out the judge's description of him while in Germany. "Very large with good bone, attentive, sociable, strong head with slight wrinkles on the forehead, mid-size, high-set, correct carried ears, very good stop, dark brown eyes, strong muzzle, dark mouth pigments, strong neck, very good fore chest, Forehand asked and angled right, short, powerful paws, straight back with slightly sloping croup, well muscled and angled hindquarters, slightly turning out on both sides. Naturally worn rod, coarse double coat with reddish brown badges." 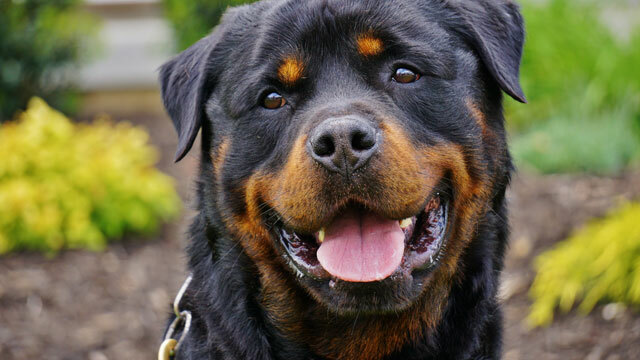 Like the mythical Greek hero Hercules, the Rottweiler is strong and true with a loving heart. Affectionately called Rotties or Rotts, the breed originated in Germany, where it was used to drive cattle and pull carts for farmers and butchers. That heritage is reflected in the Rottie's broad chest and heavily muscled body. When he moves, he displays strength and stamina, but when you look into his eyes you see warm, dark-brown pools reflecting a mellow, intelligent, alert, and fearless expression. 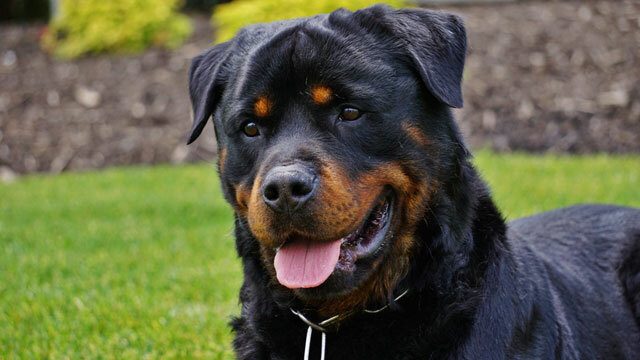 A well-bred Rottweiler is calm and confident. He's typically aloof toward strangers, but never timid or fearful. Rottweilers exhibit a "wait-and-see" attitude when confronted with new people and situations. When these characteristics come together as they should, the Rottweiler is a natural guard dog with a mellow disposition who is successful not only in police, military, and customs work, but also as a family friend and protector.